Last week, Xinhua News agency reported that the State-owned China Aerospace Science & Industry Corporation (CASIC) is planning a network of 156 mini-satellites to facilitate global broadband coverage. CASIC is a large state-owned hi-tech enterprise under direct administration of central government. It developed a series of high-tech products in aerospace defense, information technology, equipment manufacture and intelligence industry. This is the first low orbiting, networked satellite project. The satellites developed by China will orbit 1,000 km above the ground, and it fits into the country’s wider push for commercial space development, according to CASIC. "The network is a general satellite platform," said Bei Chao, a CASIC engineer. He added that add-ons and upgrades were being explored next. Satellite communication services with frequencies from 26.5 to 40 hertz will improve Internet access. Small satellites are easy to mass produce and upgrade at low cost, while the low orbit helps in avoiding signal delay. The first satellite under the project will be launched before 2018. Four more satellites will be launched by 2020 and all 156 are expected to be in operation by the end of the 14th Five-Year Plan (2021-2025). Earlier in March, CASIC launched an experimental satellite "TK-1" for remote sensing, telecommunications and experiments in minisatellite-based technologies. It is the first satellite independently developed by CASIC. In the 13th Five Year Plan, ‘utilizing satellite frequencies and orbital resources’ is mentioned as part of the measures for developing an An Advanced and Ubiquitous Wireless Broadband Broadband Network. Last year, Xu Dazhe, director of the China National Space Administration said that China aims to become a global aerospace power by 2030. China will complete aerospace projects currently underway by around 2020, including manned space programs, lunar probes, the BeiDou Navigation Satellite System and the Gaofen observation satellite program. Around 2025, China will complete construction of a national civilian space infrastructure. On March 3, plans were announced to launch six to eight BeiDou-3 satellites in 2017, as part of a plan to put 35 BeiDou satellites into space to form an orbiting satellite network and offer worldwide navigation services by 2020. This is intended to be an alternative to GPS. China has already sent 22 BeiDou satellites into space. During 2017, China also plans to launch 6 communication satellites. Its first high-throughput communications satellite will be launched in April, which will help provide better access to the Internet on planes and high-speed trains. 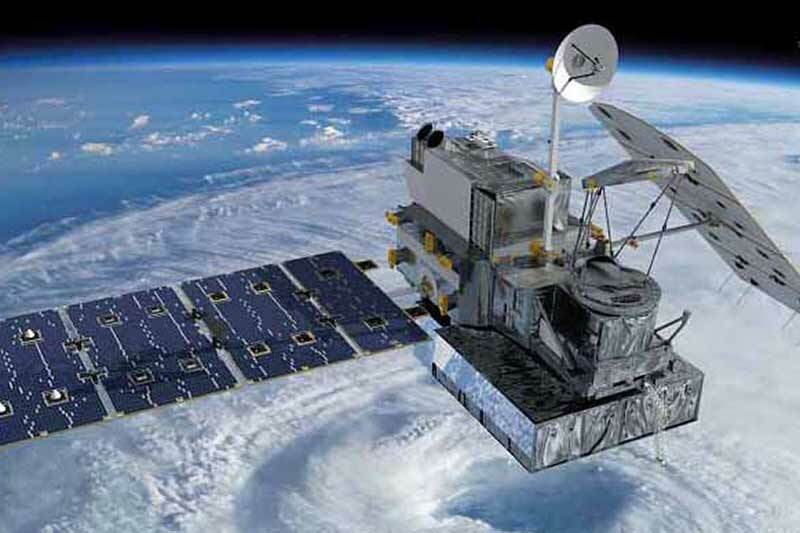 In other recent landmarks, China launched a carbon dioxide monitoring satellite in December, becoming the third country after Japan and the United States to monitor greenhouse gases through its own satellite. In January this year, China&apos;s quantum communication satellite, a world-first, launched last August, became officially operational after four months of in-orbit testing. The Quantum Experiments at Space Scale (QUESS) satellite will help explore "hack-proof" quantum communications by transmitting unhackable keys from space, and provide insights into the quantum entanglement.